Whether you’re looking for a convenient studio, one or two bedroom home, each of our remarkable floor plans is fully outfitted to provide the perfect retreat. Chef-inspired kitchens are impressively luxe, with solid granite countertops, chic ceramic tile backsplashes, and stainless steel GE appliances. Rich wood cabinets with soft-closing doors enhance the elegant appeal, along with crown moulding, plantation shutters, and attractive plank flooring. 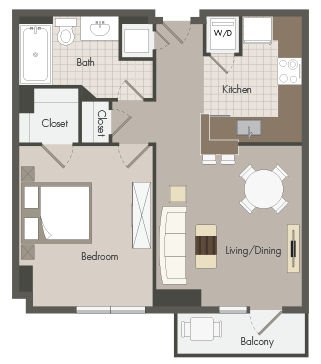 You’ll also have a full-size washer and dryer, plus generous closet space throughout. Patios, balconies and terraces with sweeping views of the area are also available. Westbrooke Place is proud to be an eco-friendly community, with energy efficient lighting and water conserving showerheads, faucets and toilets. Every home also features zero VOC paint, plus recyclable carpeting and padding. 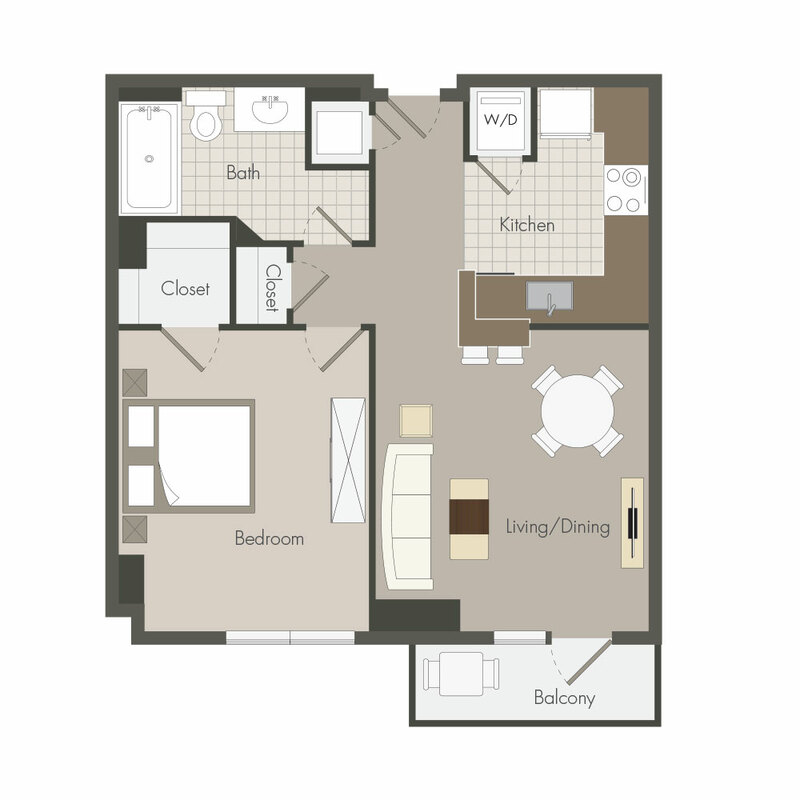 Floor plans are an artist rendering and may not be to scale. Amenitites subject to change. See office for details. 1 Bedroom / 1 Bathroom/ 576 Sq. Ft.